Black PU lace Victorian ankle boot with 2 inch heel. 10.25 inch calf circumference. 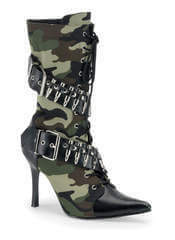 3 3/4 inch military camo print heel boots. By Demonia. 3 Inch Block Heel Stretch Boots with Inner Zipper. 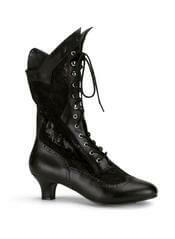 Womens black Pu Victorian boots with a 2 3/4 inch heel and lace-up front. Purple patent 3 inch block stretch heel boots with side zipper and single sole. By Demonia. 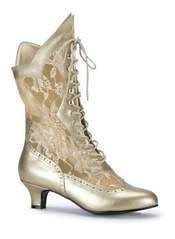 Gold PU lace Victorian ankle boot with 2 inch heel. 10.25 inch calf circumference. Black nappa Pu slip on Beatle ankle boots with elastic by Demonia. 2 inch heel black PU Gogo style boots with laceup closure. 4 Inch Heel Platform Lace Up Boots. 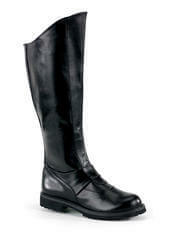 5 Inch Plain Stretch Knee Boot with Side Zipper. 3 Inch Hot Pink Patent Block Heel Stretch Boots. 3 Inch Block Heel Stretch Boots with Side Zipper. 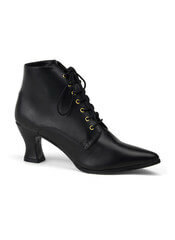 3" Block Heel Wide Width, Black PU, Plus Size Boot, Side Zipper. Chunky Heel Mary Jane Platform Pumps with Red Patent. By Demonia. 4 Inch Chunky Heel Mary Jane Platform Pumps. By Demonia. 5 inch white high heels with blood spatter. Great for morticians. 3 Inch Lime Green Patent Block Heel Stretch Boots. Black patent platform shoe with a 5 Inch Heel. By Demonia. 3 Inch Silver Block Heel Stretch Boots with Side Zipper. 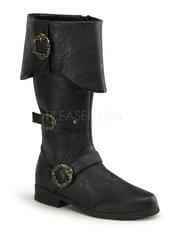 Black 5 buckle strap boots with inner zipper. 4 1/2 inch heels. Black patent 2 inch block heel boots with laceup. Inner zipper. 3" Block Heel Wide Width, Black Patent, Plus Size Boot, Side Zipper. 14.62 inch calf circumference. 3 Inch Orange Patent Block Heel Stretch Boots. Ivory PU lace Victorian ankle boot with 2 inch heel. 10.25 inch calf circumference. 5 Inch Chunky Heel Mary Jane Platform Pump. By Demonia. 4 1/2 inch heel skeleton print pump. 5 3/4 inch heel black and white platform stiletto strap shoes. Black Patent Wide Width Mary Jane Shoe, Plus Size, 4 inch heel. By Demonia. 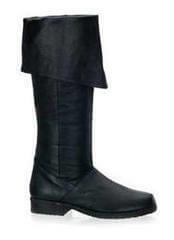 5 3/4 Inch Buckled Platform Knee Boot with Side Zipper. Black skeleton x-ray knee boots with inner zipper. 4 1/2 inch heels. 5 3/4 inch platform stiletto heel ankle boots with button design. 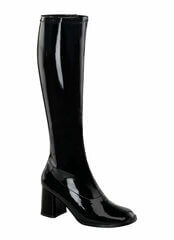 Black Stretch Patent Wide Width Gogo Boots with 3 Inch Block Heels. 15.25 inch calf circumference. 5 Inch Stack Heel with 1 1/2 Inch Platform Boots.